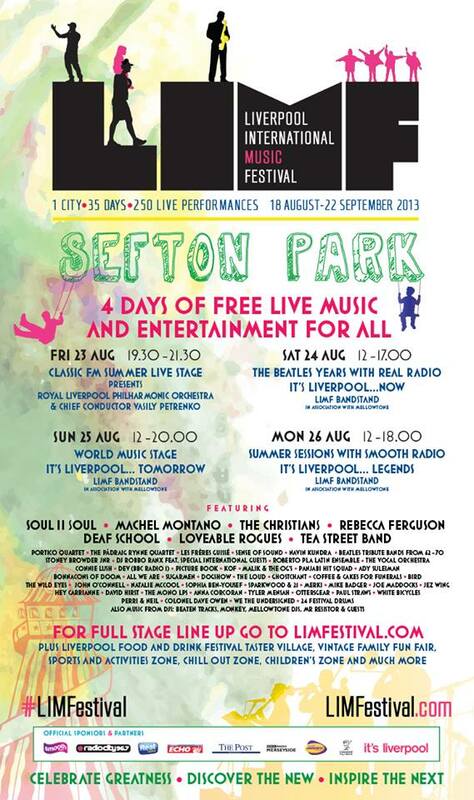 British Beatles Fan Club: LIMF - Four Days of Free Live Music at Sefton Park, Liverpool! LIMF - Four Days of Free Live Music at Sefton Park, Liverpool! Last year saw the end of the outdoor stages for the Mathew Street Festival. Instead, Liverpool will be hosting the Liverpool International Music Festival which promises to be bigger and better!